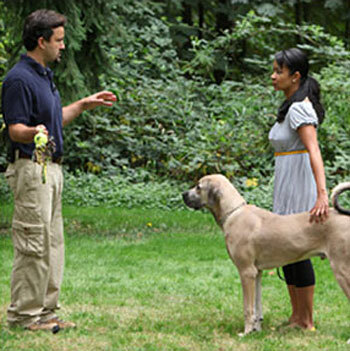 Our trainer has extensive experience in conformation, obedience, Schutzhund, behavior, and many other facets of handling & training. Please bring plenty of high value treats such as cut up hot dogs. Something the dog can chew quickly and loves! I am a life long horse and dog animal person. I moved from San Diego, CA in 2015, where I spent 10 years involved with various training, showing and sport dog clubs. 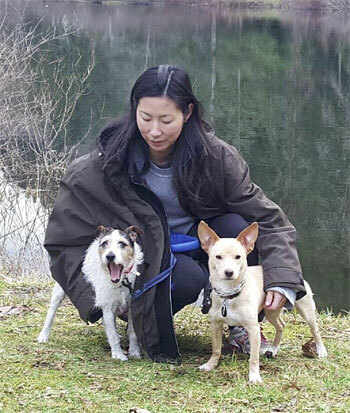 My dogs and I have a training and trialing background in AKC obedience, Field trials, protection sports, some agility and scent work, and more. Recently my dogs have been adding dock diving and more to their repertoire. They are great house dogs, hiking buddies, bed ornaments, and barn dogs. I have also worked in veterinary specialty (UC Davis hospitals among others) for 10+ years.